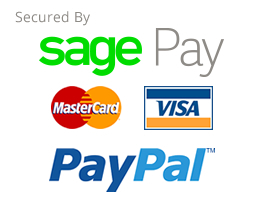 Available in a choice of Natural Hemp Rope or Synthetic Hemp Rope. Please let us know if you would like a different length GYM Rope and we will be happy to make it for for. Natural Hemp gymnasium climbing rope. Natural Hemp rope is soft on the hands which will reduce friction burns when climbing. Ideal for use as a hemp gymnasium rope or in private gymnasiums Our gymnasium ropes come complete with a commercial shackle to aid attachment. Available in a variety of lengths but any length can be made if required. 24mm Gym climbing rope / gymnasium rope made from Poly Hemp Rope - a man made fibre rope, which provides a cost effective alternative to Natural Hemp Rope. Our Gym ropes are supplied with a spliced loop one end complete with a galvanised shackle to aid hanging your gym rope. various lengths available from 4 metres - 10 metres. 28mm Gym Climbing Rope / Gymnasium Rope made from Polyhemp Rope. Suitable for indoor or outdoor use. Available in lengths from 4 metres - 10 metres. Our gym ropes are manufactured with a soft eye splice in one end of the polyhemp rope and includes a galvanised shackle to aid attachment. 32mm Gym Climbing Rope / Gymnasium Rope made from Polyhemp Rope. Our gym ropes are supplied with a soft eye spliced loop in one end of the polyhemp rope together with a galvanised shackle to aid attachment. Available in various lengths from 4 metres up to 10 metres. 36mm Gym Climbing Ropes / Gymnasium Rope made from Polyhemp rope. Available in a range of lengths from 4 metres - 10 metres. 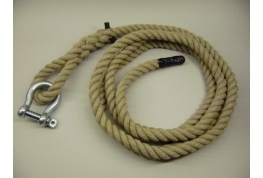 Each Polyhemp gym rope has a soft eye loop spliced on one end and includes a galvanised shackle to aid attachment. These gym ropes are suitable for indoor or outdoor use.